Andrew Bacevich gives his view of American actions in the Middle East. It may not be possible to have a dull conversation with Andrew Bacevich. He's a retired army colonel and retired history professor who writes compelling books about America's engagement with the rest of the world... which he often finds wanting. 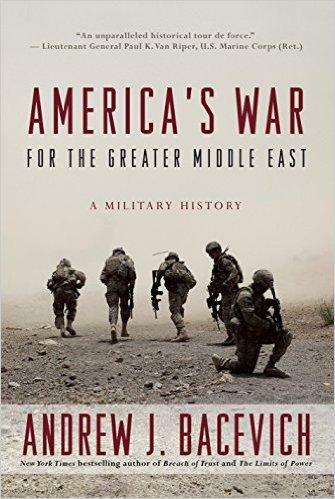 His latest book America’s War for the Greater Middle East, focuses on where most of our military action now takes place... and it predates the invasion of Iraq by a couple of decades. The author visits the Exchange to lay out his view on why we're so interested in the Middle East, and what it's doing to us. Experience "Love And Terror In The Middle East"
Frank Romano describes his ventures in the Middle East. We watch the long face-off between Israelis and Palestinians and wonder what can be done. Former Ashland resident Frank Romano wonders, too, but he's waded into the middle of it all. Romano leads--or attempts to lead--interfaith activities in Israel and the West Bank. They are the main events in his book Love and Terror in the Middle East, updated to a fourth edition.